KODIAK, Alaska (AP) — Kodiak’s chapter of the Salvation Army is assisting a record number of people seeking help. Over the past eight years, the number coming through The Beachcombers — the Salvation Army housing program — and partaking in programs to tackle substance abuse has nearly doubled. In 2009, the Salvation Army recorded 91 individual cases. Through 2016 and 2017, the Salvation Army recorded 173 and 172 cases, respectively. 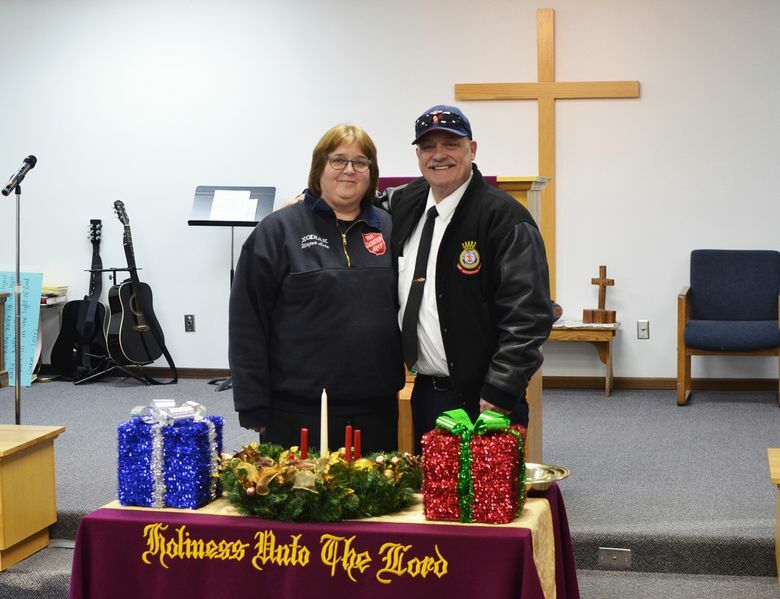 “It’s mostly drug and alcohol-related,” said Major Lola Davis, who, along with her husband, Major David Davis, runs the local chapter of the Salvation Army. Lola Davis said they have a current resident who was prescribed pain medication after he was suffered an injury at work. He’s spent the past two years battling substance addiction and, during that time, has come through SA’s housing twice. The state of Alaska is currently facing an opioid-abuse epidemic, and Kodiak is no exception. According to Putney, last year the police department, in collaboration with the state troopers and U.S. Coast Guard, seized $1 million worth of drugs off the streets in Kodiak. When those seeking recovery approach the Salvation Army, they are shown a copy of the rules and must agree to the terms of being housed. They are then asked to provide an “action plan,” which can be broken down into two simple questions: What has made you homeless, and, how are you going to overcome these things? According to Lola Davis, the goals are usually simple: Get sober, find steady employment and find a place to live. The Salvation Army will only house recovering addicts who are already going through substance abuse outpatient treatment. They will often get referrals from Kodiak Area Native Association, Kodiak Area Mentor Program, Kodiak City Jail and Providence Kodiak Island Medical Center. “If someone is in their program, we welcome them into our program,” said Lola Davis. Kodiak’s chapter of the SA was established by Envoys Craig and Jeanie Fanning in 1993. The property, which was purchased by the Salvation Army that year, has a number of different buildings. The Salvation Army Corps and Community Center is where they have offices, hold church services, and host meals and Al-Anon meetings. Just behind that is a building which holds the thrift store and has an apartment on the upper floors. A third building, where the temporary housing is based, was named The Beachcombers after a vessel that was formerly moored near the property. The Davises arrived in Kodiak for the first time in 1998 and initially worked with Safe Harbor, which was a 30-day rehabilitation program. “And that’s one of the reasons why David realized we needed The Beachcombers,” said Lola Davis. The Beachcombers was built with a grant from the Department of Housing and Urban Development. By the time it was finished and ready for use in 2005, funding for the Safe Harbor had been cut and it merged with Providence Kodiak Island Counseling Center, which eliminated the residential aspect of the program. Mary Guilas-Hawver, director of Providence Kodiak Island Counseling Center said that following the Davises departure in 2007, the Beachcombers was underutilized. She said that with no residential substance abuse program, the community suddenly faced a lack of transitional housing. Before the Davises returned, the only option for some patients was leaving the island. “So it’s really a blessing to have the transitional housing back,” she said. The Beachcombers could originally house 12 men. It’s now being renovated into two separated apartments, which will house seven women and nine men. The renovation is being funded by the sale of another property that the Salvation Army owns on Kodiak, as well as a three-year grant from the T. L. Williams Trust. According to David Davis, they expect work to be completed in January or February 2018. Lola Davis said they already have several women waiting to move in. A current resident said that the SA’s housing is better suited for those dealing with addiction than other accommodations in town. Once residents are earning money, they are asked to pay a service fee, which according to Lola Davis is usually up to 30 percent of the market rate for a similar room. David Davis explained this helps a little to support the SA’s services, but it’s also a big part of the recovery process and helping people to rejoin society. “What we’re trying to do is get you to take ownership and responsibility over yourself,” he said. Necessities like food and soap are provided for those who need them. SA also offers other forms of support like counseling and even basic tutelage in things like banking. “If they make an appointment, I’m happy to help with anything they need,” said Lola Davis. The Davises moved away from Kodiak in 2007, and returned in 2016. Lola Davis said since they arrived back, they’ve seen 11 cases of successful recovery.